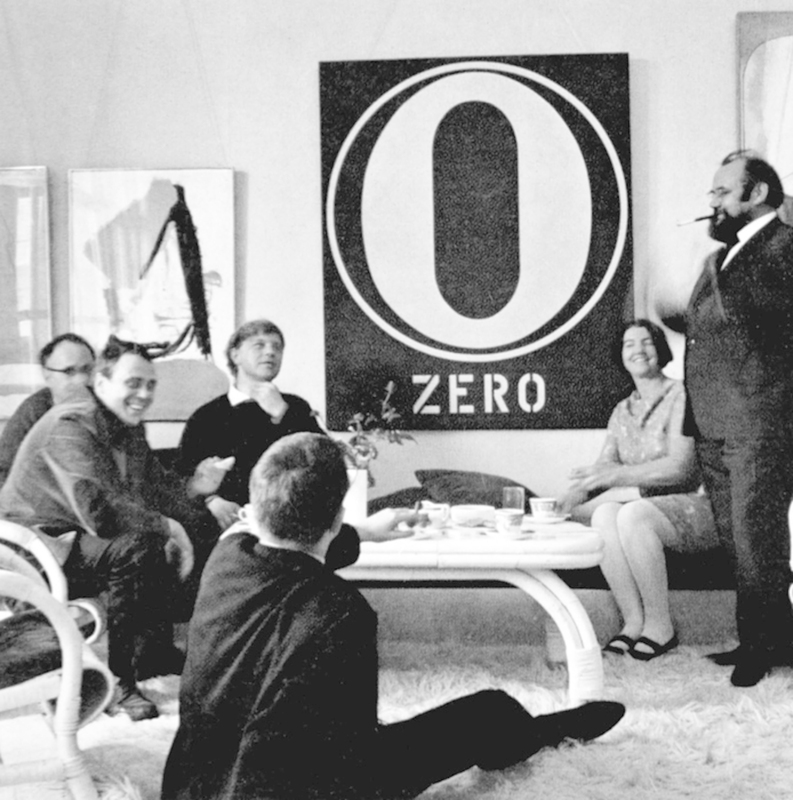 Henk Peeters (far left), Günther Uecker, Heinz Mack, unidentified, Monika and Alfred Schmela (right), Düsseldorf, 1960. ONLY IN THE TWENTIETH CENTURY have the cargo cults of modernity given us handmade objects that mimic so intently the processes of industrial manufacture. Even more surprising are the rare instances in which those objects accurately predict the unfolding of a modernity whose future has been otherwise wrested from their makers’ hands. At times, that accuracy is exhilarating in its conceptual force; at other moments, the match between the modernist past and a commodified future is merely formal, and the art collapses into kitsch. Sperone Westwater’s show on Zero last winter in New York (organized by David Leiber, the gallery’s director, and Mattijs Visser, founding director of the Zero Foundation) gave us a good chance to gauge both outcomes for this short-lived, ambitiously international group of artists operating out of Germany in the late 1950s and early ’60s.